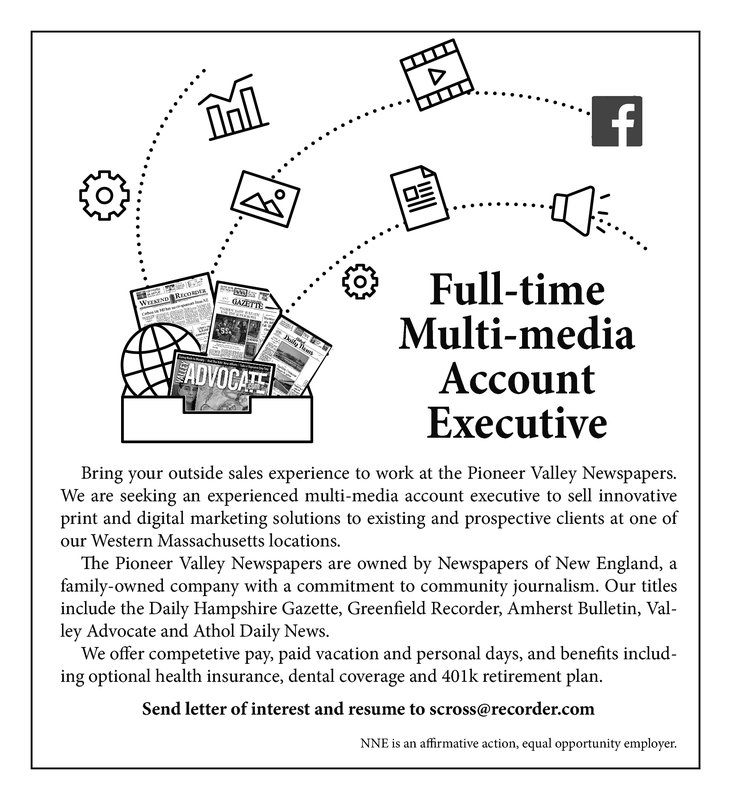 Bring your outside sales experience to work at the Pioneer Valley Newspapers. We are seeking an experienced multi-media account executive to sell innovative print and digital marketing solutions to existing and prospective clients at one of our Western Massachusetts locations. The Pioneer Valley Newspapers are owned by Newspapers of New England, a family-owned company with a commitment to community journalism. Our titles include the Daily Hampshire Gazette, Greenfield Recorder, Amherst Bulletin, Valley Advocate and Athol Daily News. We offer competitive pay, paid vacation and personal days, and benefits including optional health insurance, dental coverage and 401k retirement plan. NNE is an affirmative action, equal opportunity employer.